If you're on the hunt for a casual yet on-trend look, go for a blue denim jacket and tobacco skinny jeans. Both pieces are totally comfortable and will look great paired together. 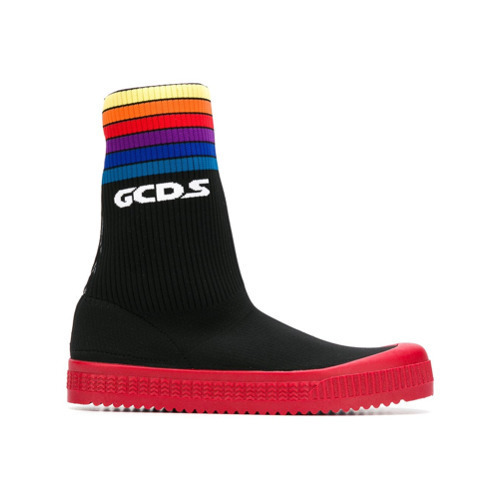 Gcds hi top sneaker boots will add a more relaxed feel to your ensemble. Try pairing a black and white houndstooth overcoat with black dress pants for a sharp, fashionable look. For something more on the daring side to round off this ensemble, grab a pair of Gcds hi top sneaker boots. Marry a yellow tank with charcoal sweatpants for a relaxed take on day-to-day wear. Black canvas high top sneakers are an easy choice here. You'll be amazed at how easy it is for any guy to get dressed this way. Just a teal puffer jacket and light blue jeans. And if you need to instantly dial down your look with footwear, why not introduce a pair of Gcds black canvas high top sneakers to the mix? 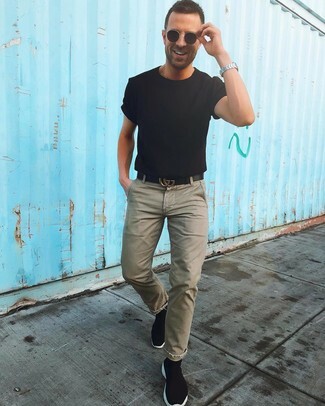 Try pairing a black crew-neck t-shirt with olive chinos for a comfy look that's also pulled together. For something more on the casual end to complete this ensemble, add Gcds Hi Top Sneaker Boots. 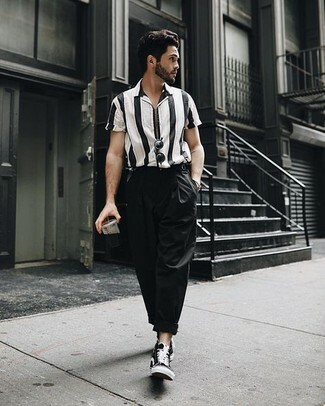 If you're in search of a casual yet stylish look, consider wearing a black and white vertical striped short sleeve shirt and black chinos. Both garments are totally comfortable and will look great paired together. Break up your outfit with more casual footwear, like this pair of Gcds hi top sneaker boots. 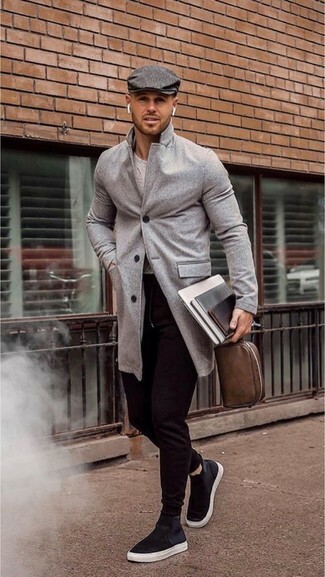 If you're on a mission for a casual yet sharp ensemble, make a grey overcoat and black sweatpants your outfit choice. Both pieces are totally comfortable and will look great together. Add a sportier twist to your outfit with black canvas high top sneakers. If you're hunting for a casual yet sharp look, pair a white and red and navy plaid long sleeve shirt with olive chinos. Both pieces are totally comfortable and will look great paired together. 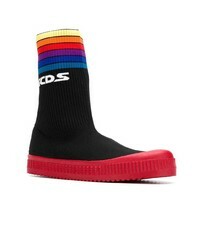 For something more on the daring side to round off this getup, choose a pair of Gcds hi top sneaker boots from farfetch.com. 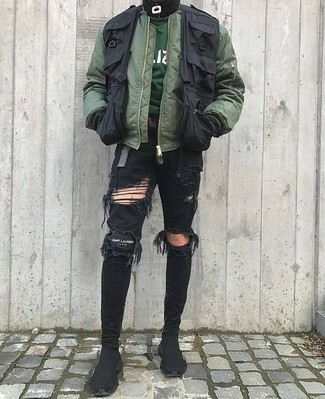 If you're all about functionality dressing when it comes to your personal style, you'll love this neat pairing of an olive bomber jacket and black ripped skinny jeans. 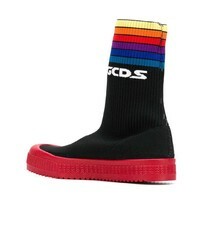 Round off with Gcds hi top sneaker boots from farfetch.com and off you go looking smashing.